On this guide we will set up our Django project to send text messages using Twilio. We will assume that the Django project is already created. 2. Get a phone number to send messages. To do that we will login with our Twilio account and get one from the console section (you can get the first one for free). Your account SID and token are written on your account’s Console section. You should save those fields on your environment variables so that you won’t have that sensible information exposed in your code. You may have to give permissions to send SMS outside the US. Check if the country where you are trying to send a text message is enabled on the SMS Geographic permissions section. The from_ field must be filled up with the number you got for your twilio account. Just call that view from a URL and there you go. Start sending messages! Docker platform is becoming more and more popular thanks to it’s ability to create, deploy, and run applications easily by using containers. 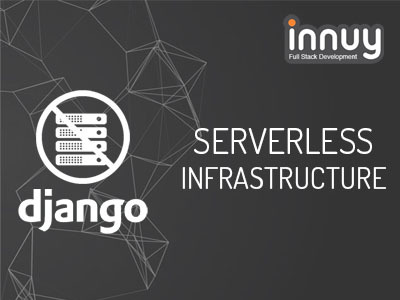 In this guide we will talk about how to dockerize our django web application using nginx, gunicorn and postgresql. If you are not deeply familiarized with docker, check out this Docker Basic Guide. Install docker-compose (we can do that by running pip install docker-compose). On this directory (we will name it "myproject") we will put all the required files to set up our docker configuration properly. This folder will contain our django project, let's name it mydjangoproject. By adding this lines we are setting up our container by installing the necessary packages such as pip and postgresql, adding our project to the container and installing the required dependencies. Here we can see how we apply the migrations, collect the static files and start our gunicorn server on the localhost at the port 8008. Don’t forget to add the host '0.0.0.0' to your allowed hosts in your Django settings. We can see here three services: “nginx”, “web” and “postgresql”. “nginx” is linked to “web” and “web” to “postgresql” in order to make them reachable between each other. Also it’s specified that “postgres” service will use the latest version of postgres image from dockerhub and both web and nginx are built using their dockerfiles. Finally, we can see that the web service will run the script written in run_web.sh when the container gets started. All commands can be found on the docker official page. On this configuration we specify the path of our static files (we have to write the same one that is specified on our settings.py file) and also we will set up the reverse proxy to redirect nginx to our gunicorn server. If you can’t see your static folder with your static files, run the command 'python manage.py collectstatic' and it will automatically collect the statics for you on the root of the project. Also, as nginx is built and not taken from a dockerhub image, we will create a file named Dockerfile inside our nginx directory and write the following code. We have linked the service "web" and "postgres" on the docker-compose.yml file already. That means that the "web" service will be able to establish connection with "postgres". To do that, take into account that database settings have to use the host name "postgres" to reach the container. The last step is to create a file named 'env' inside 'myproject' folder with the database configuration. This file is referenced in our “env_file” variable on the docker-compose file. Environment variables can change depending on the database configuration. All the options can be found on the docker’s environment variables section for postgres. Everyting should be set up now. We only need to go into 'myproject' folder (folder where docker-compose.yml is located) and run 'docker-compose build' to build the containers and 'docker-compose up' to start the containers. Then if you go to localhost:8001 you should see the django project working.